I recently came across a very interesting article from the 90s about the skills and coping mechanisms of Holocaust survivors who escaped to America and made a life here following their harrowing ordeals. 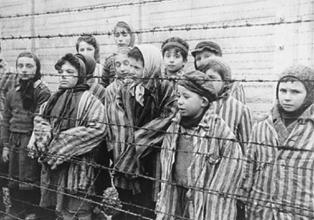 The article covers various studies that have been done among Holocaust survivors as to how they have learned to cope with their experiences as well as what qualities those who seemed the most stable may have had in common. It’s a very interesting article and I definitely recommend reading the whole thing, but here are a few key takeaways that I thought would be particularly interesting to the survival community. As survivalists I feel like this handful of phrases can be very telling. They are often personality traits that are instinctive and can’t be taught, but that doesn’t mean those of us who don’t have these qualities can’t gain from this. You can mentally prepare yourself now for adjustment to new situations, to dire situations. In fact, the desire to prepare for disaster in itself is indicative of a person who’s resourceful and willing to mentally prepare for new, challenging situations in which you might need to think on your feet and rely on crucial life-saving skills you’ve been acquiring. The reason this was noted in the study is that it was expected that the Holocaust survivors, after everything they had been through, would struggle in these areas. But many of them went on to have strong, successful, long-lasting marriages, prosperous careers or businesses and children who also were quite stable and went on to have the same. I think the really important lesson we can take away here is that relationships matter. The Holocaust survivors had horrifying memories that they had to live with the rest of their lives, but they invested in their relationships, and also poured themselves into their work. When we find ourselves in horrifying situations, will we have the relationships we can rely on to support us? Will we have the work ethic it takes to survive?